The letter, dated November 18, 1911, from D.H. Brown, President of the Grand Rapids Furniture Association, Ltd., is directed to Fred W. Tobey, secretary of The Guild. 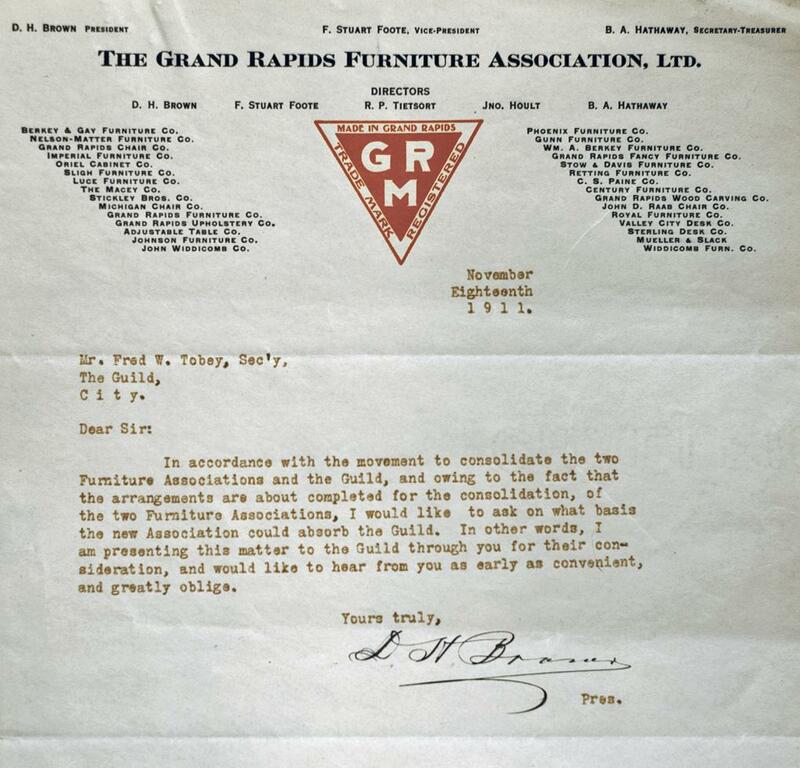 The letterhead is of interest as it names the officers and the directors of the organization, lists the member furniture companies, and displays the "Made in Grand Rapids" trademark, initiated by the Furniture Association in 1900. Also of interest in the mention of the consolidation of the Grand Rapids Furniture Manufacturers Association and the Grand Rapids Furniture Association, which would become the Furniture Manufacturers' Association of Grand Rapids. The papers for the merger were finalized shortly after the the date of this letter.